The recruitment industry has been able to reach many more candidates looking for employment, because of how active people are online and most specifically, social media. 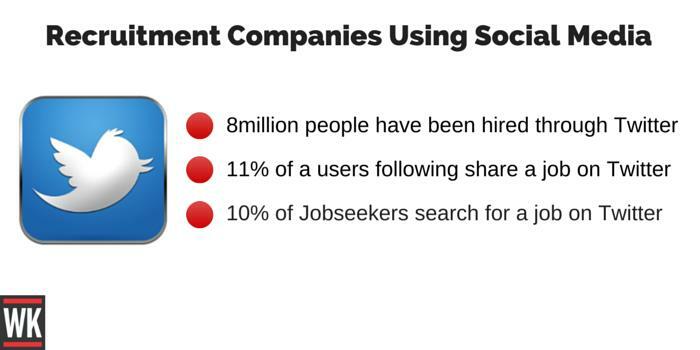 While 94% of companies are currently using social media as a resource to recruit, their strategies are often outdated because they haven’t taken into account where their target market hangs out, and the technology that they most like using. 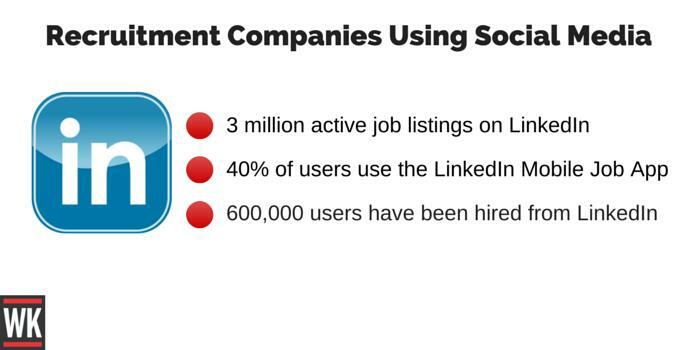 As people will predict, most recruitment companies are using JUST LinkedIn to share their recruitment opportunities. Only 14% of LinkedIn users check their account on a regular basis, meaning that YOU are potentially missing out on connecting with more out of work individuals. To really drive applicants to the jobs you have on offer, your brand needs to not only be strong, but work collaboratively across multiple networks when using their marketing strategy. 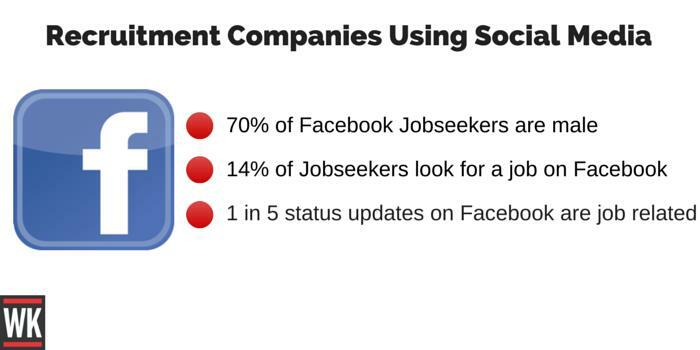 It may be difficult to realise that people looking for employment, aren’t actually using LinkedIn as only 36% of job seekers are actively using the social platform, compared to 40% on Twitter and surprisingly, 83% on Facebook. Let’s look deeper into each network. LinkedIn and Facebook are similar in regards to how you can use recruitment however, LinkedIn is more business orientated. Boosting a great jobs section on the site, LinkedIn allows businesses to advertise jobs and with this, define who they want to target. It will cost you around £130 to post a job on LinkedIn but it will generate more responses than Twitter and Facebook combined as it is more professionally targeted. To really utilise LinkedIn’s job’s feature, make sure you share it with your current connections. This is a great way to increase your job exposure and because of this, you will be able to connect with LinkedIn members that may be interested in the job you’re offering. SimplifiedRecruitment.com is allowing users who are advertising jobs to work with them by adding jobs to their network, it will automatically broadcast them to a search engine specifically for job hiring (simplyhired.com). To really utilise Twitter from a recruitment perspective, it’s important you invest some time in building your following and understanding what hashtags people are using to find jobs that you specialise in. As well as finding the right hashtags to use, you need to be sending out frequent tweets. I would suggest 5 tweets per day (which you can schedule using a social media management tool such as Hootsuite). Twitter may not be your preferred channel to promote jobs, or even look for jobs however there are companies out there doing it and there is a job focused twitter search engine that you can use (www.twitjobsearch.com). By using Twitter, you can advertise jobs for free and your advertisement will be pushed out to twitter job seekers. They have a focused user base that is actively looking for jobs so take advantage of this. Facebook is being utilised by millions of people around the world and to reach your audience, you need to set up a Facebook Business Page. This allows you to share an update on your latest job opportunities. Facebook is like Google in the sense that it can be used like a search engine. Do your research by using this search functionality and find keywords that people are using that are looking for jobs. Get your friends and company employees to “like” the page as well as channel partners (if you have any). 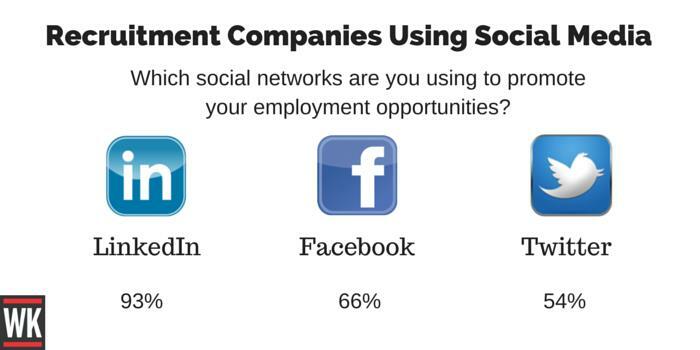 Using these social networks to find people who are looking to be hired, and also from a job seeker’s perspective is a great way to get more people in the workplace. The way we communicate with people has changed and you need to be aware of this. Make sure your businesses mission and values are something that is shared with your community so that they know YOU want to help THEM.